So you want to find the best ketogenic diet book to help you master this intriguing low-carb diet strategy? Low-carb diets are nothing particularly new to the weight-loss scene. We know these diets best by the names of Atkins and South Beach, but there are many more that follow a low carbohydrate approach. These diets have created a whole new culture of people that eat lettuce buns and meat –crusted pizza topped. Bottom Line Up Front: My top recommended Keto book is Keto Clarity, which is available here (click the link). For a more in-depth look at the diet, the science behind it, and its basic concepts, these educational books are written by authors with experience in the field of nutrition, many of whom have had dramatic weight losses and improved health from changing their way of eating. They offer a lot of information for those of you who are also interested in changing your way of eating, losing weight and/or obtaining all the health benefits of going Keto. This is undoubtedly the best ketogenic diet book for those who want to learn more about the benefits of the keto diet. Written by Jimmy Moore and Dr. Eric C. Westman, highest-rated Keto Clarity delves into the therapeutic effects of the Ketogenic diet as opposed to just the weight loss aspects. Further, it provides the evidence to support claims regarding pure food fats and their positive effects of conditions like Type 2 diabetes and Alzheimer’s, with input from over 20 experts. Keto Clarity offers ways to calculate your own carbohydrate tolerance and specifically points out what makes the diet differ from a highly processed Atkins diet, which has gained notoriety for its potential health risks. The authors address the criticisms of the diet and counter them with scientific data and studies. There is a chapter on ketone-production troubleshooting (why you may not be producing enough) as well as one on frequently asked questions that addresses confusion and concerns. On a more personal level, the book provides true stories of Keto dieters and the successes that they have had. Jimmy Moore, one of the authors of this and other diet books, has himself experienced dramatic weight loss and rid himself of disease through his diet. That isn’t even the best part: Chapter 21 provides a 21-day kick-start meal plan to jumpstart your own diet. This is the all-knowing, all-inclusive 300-page guide to the Ketogenic Diet. Read more about Keto Clarity here. As with any diet, the dieter becomes frustrated quickly when results are not what were expected. Many times, this is a result of error on the part of said dieter. With unfamiliar concepts, this can happen quite often, which is why I suggest the best ketogenic diet book for revealing common mistakes people make when trying this diet. Sarah Givens brings a background of nutritional expertise to the table in this short book that gets right to the point. 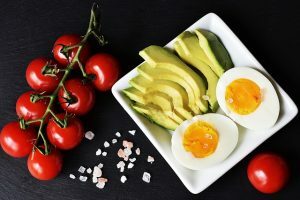 Ketogenic Diet Mistakes addresses the 15 errors that are most commonly made when trying to enter ketosis for fat loss, including calorie misconceptions, scale watching, measuring ketones, calculating “net” carbs, fat phobia, and exercise. By taking a proactive approach and addressing the problems at the inception, the more likely you are to be successful in losing weight and/or becoming healthier. Written by the same medical assistant and dietary advisor who authored Ketogenic Diet Mistakes above, this book introduces you to the key concepts surrounding the high-fat diet and weeds out the misconceptions. The Ketogenic Diet For Beginners serves as an excellent introduction to this new way of eating by getting you started and at only 62 pages, it is a short and sweet way to get you started in changing your eating habits. If you are looking for a more in-depth and detailed guide on the ins and outs of the diet, this book may not be for you: Keto Clarity is probably your best option. 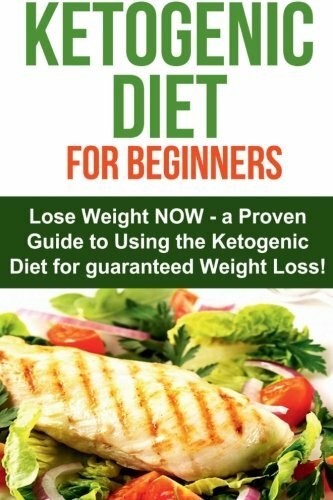 But if you’re new and just want to learn the basics to get started, this is the best ketogenic diet book for you. In my opinion, this is the best ketogenic diet book for cooking out there. 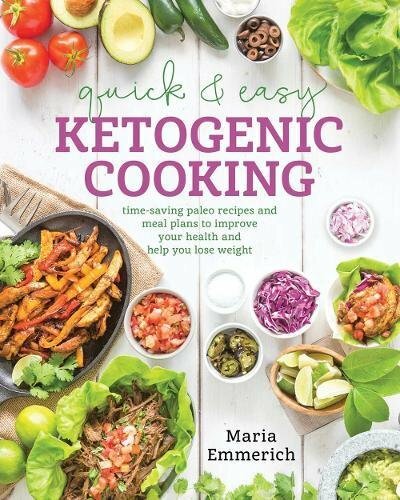 Wellness, nutrition and physiology expert (not to mention blogger) Maria Emmerich, author of several other books on health, wellness, and nutrition, brings you simple recipes that any Keto dieter can follow in order to maintain ketosis and continue to reap the benefits that a pure food, high fat diet offers. More than just recipes, Quick & Easy Ketogenic Cookingintroduces and explains the diet and how it works, including tips for success and how to eat out without compromising your diet. Emmerich addresses the various options you have, including those available to vegetarians on Keto, which is a unique feature in comparison to other book choices. This 2-part, 350+- page book opens up with what the author calls “The Ketogenic Kitchen”, with four chapters of ingredients, kitchen tools, tips and meal plans. In Part II, recipes are organized in various categories, such as breakfast, roll-ups and wraps, a different chapter for the various choices of meat, sides, vegetarian dishes, and desserts. Think you can’t live without carbs? Think again—seriously. Among these recipes, you will find Keto versions of brownies, pizza sticks, lasagna and more. All recipes follow the Paleo tradition of real food; nothing processed. With over 350 pages, this is the real deal Keto cookbook if you are ready to kick the carbohydrates and processed foods to the curb. Get your own copy of Quick & Easy Ketogenic Cooking here! Martina Slajerova brings you her 240-page bestseller with 150 recipes that leave out artificial sweeteners, grains, and sugars, legumes, potatoes, unhealthy oils and fats as well as additives, offering up the healthiest, lowest carb recipes for your success. Lactose intolerant? No problem. Slajerova includes many dairy-free recipe options. The KetoDiet Cookbook also includes the most recent research supporting the various health claims, opening with an explanation of the concepts behind the diet for your understanding. It offers up chapters for breakfasts, snacks, lunch, soup and salad, main meals, sides, and drinks & desserts. 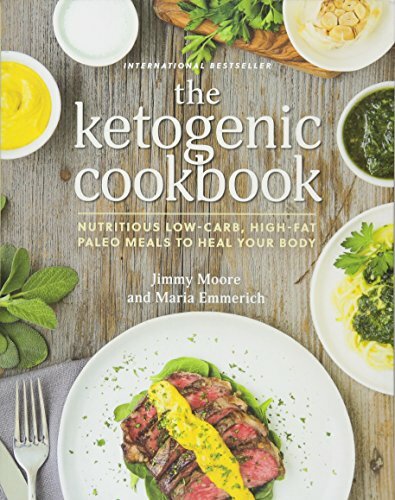 Keto Clarity author Jimmy Moore and Quick & Easy Ketogenic Cooking’s Maria Emmerich team up to bring you 150 detailed Keto recipes. This book is a best-seller on Amazon, and you’ll commonly read reviews from customers calling this book, “the best ketogenic diet book for cooking that’s available.” Detailing the history of the diet itself, the basics of Keto nutrition, as well as the wide variety of health advantages that the diet can bring in treating various diseases, this recipe book offers motivation and deliciousness all in one. In the back, you will even find meal plans to help you along. Book reviewers have raved about the creativity with which the two authors reimagine favorite dishes with the Keto twist. With over 350 pages of information and recipes, The Ketogenic Cookbook will help you maintain your dieting goals. While they seem to have sprung up over the last fifteen years or so with popularity, these diets all seem to share a common aim in order to burn fat: Get your body into ketosis. Well, our bodies have this unique ability to use carbs, fat, and protein for energy, but they prefer carbohydrates. When we over-eat carbohydrates, they are broken down into sugar (glucose) and stored as fat. When we eat too few, our bodies must acquire energy from another available nutrient, and next on the body’s preference list is fat. The body becomes a fat-burner, and quickly turns to fat reserves for energy. When our body makes the switch from using carbohydrates for energy to using fat, this is called “ketosis”. Ketones are byproducts of burning fat for energy. By limiting carbohydrate intake, the body will remain in this mode, resulting in not just weight loss, but fat loss. When we hear the words “diet”, we automatically assume the purpose is to lose weight, but that is not necessarily always the case. In some instances, a diet can also be a prescription of health; an unconventional yet just as effective (if not more so) treatment for certain ailments and disease. First Do No Harm, a 1997 Meryl Streep movie, while fictitious, depicts a mother who turns to diet to treat her son’s epilepsy after his prescribed medications basically put her son into a vegetative state. Inspiration for the movie, however, is anything but fiction: The producer’s son, a young boy who was rapidly declining in body and mind as a result of the medications he had been prescribed, was put on a special diet after his father came across a book documenting the positive effects that it had on children with epilepsy. That book (like most low-carb diets) is based on the Ketogenic Diet—and its effects on both weight loss and epileptic seizures are real. In addition, the benefits of the Keto Diet on blood pressure, diabetes, cholesterol, and triglycerides are well-documented, back by numerous studies and now by numerous doctors. The Ketogenic Diet is the basis for low-carb diet trends, introduced nearly 100 years ago. It is a high-fat, low-carb approach most commonly utilized for weight loss and the treatment of epilepsy in children when medications fail them. The diet is often scrutinized because of the high-fat stigma that, in an ordinary diet, is found to be detrimental to health. However, it isn’t just about adding a lot of fat to your diet. It is turning the food pyramid as we know it upside down and cutting out the carbs. The Ketogenic Diet isn’t exactly all cut and dry, and there are other guidelines to be considered. You certainly don’t want to go scarfing down bunless double cheeseburgers at the Golden Arches, as was a common misconception with the inception of the Atkins diet. It will also take a lot of work to get past some of the ideas that have been programmed into your head about what is considered healthy in terms of a balanced diet. 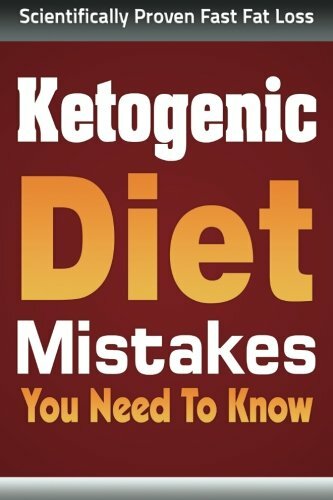 If you are new to the Ketogenic Diet, here’s a list of the best books that will help you get a better understanding of how it works, what benefits it can have for you individually, and a list of foods and recipes that you can expect to consume while on the diet. There are a lot of fad diets out there, and although some are based on the Ketogenic concepts, they should not be confused with the actual real-food based, high-fat, low-carb, moderate protein Paleo way of eating that is Ketogenics. This is a completely natural way to eat as a human being, but not necessarily as a human being in a society that has established dietary guidelines with an economy that profits more from processed, fast foods loaded with salt and unhealthy additives than the produce that is rotting as it sits in abundance at the supermarket. I am sure we have all seen the same documentaries making similar claims. The biggest challenge for many people is simply overcoming the stigma of consuming more fat, not taking into account that they are reducing the carbohydrates and protein and therefore not consuming extra calories, which is the cause of weight gain. These books will encourage the transition, provide science that will convince you of the benefits of switching, and offer up some delicious recipes that will completely change your palate and your life. Whether your goal is weight loss or becoming healthier, these top-rated books will give you the tools you need to be successful. I am epileptic and vegetarian. Can this diet be done? Which cookbook is best? It is recommended that ketogenic diet not maintained permanently. But is that true for cases outside mere weight loss? 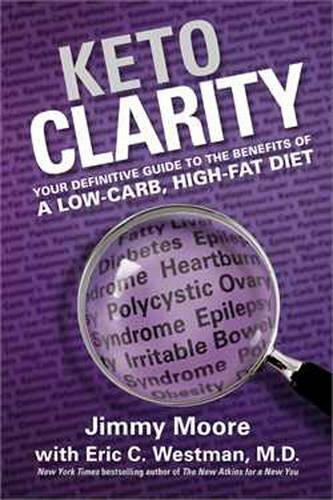 The authors of Keto Clarity advocate a longer term approach to the diet as a lifestyle. But again, the application of the diet to specific health conditions, long or short term is better addressed by a doctor who knows the details of the case. 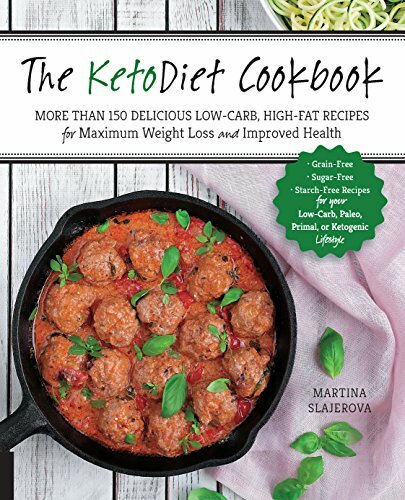 I bought the Martina S L book, soo complicated with all the recipes, I just want a book that will get me started, I already know the scienc behind the Keto diet, just refer me to a easy peazy book that will have recipes for a beginner with a few bread roll recipes. I went off the diet, I now want to get back into the diet with recipes that don’t have all the fancy stanch ingedients. Is Leanne Vogels a good choice to start with?